Belvoir is now accepting entries for the 2018 Balnaves Foundation Aboriginal and Torres Strait Islander Fellowship, an evolution of The Balnaves Foundation Indigenous Playwright Award and an outstanding launching pad for new talent with a $25,000 paid residency at Belvoir. In 2018 the Award is taking an exciting new shape and will now become a Fellowship, which will see the winner be given the opportunity to work at Belvoir in 2019 as a resident artist and receive $25,000 over a year-long period to create their new work. The Award will broaden to encompass directors, playwrights and writer/directors who can drive the creation of a new, Indigenous-led stage work, whether that be a new play, an adaptation or through a devised process. The Balnaves Foundation Indigenous Playwright Award has long been recognised as one of the most prestigious playwriting awards in Australia, attracting entrants of the highest calibre. Previous winners, including Leah Purcell, Jada Alberts, Megan Wilding, Jada Alberts, Nakkiah Lui and Ursula Yovich, have submitted exceptional works that consistently celebrate the depth of talent in amongst our nation’s Aboriginal and Torres Strait Islander theatre-makers. ‘We are tremendously proud of the artists and the calibre of work this Award has produced,’ said Hamish Balnaves, Chief Executive Officer of The Balnaves Foundation. ‘Last year the Award commissioned Megan Wilding (The Rover), who follows in the footsteps of artists like Leah Purcell who wrote The Drover’s Wife as part of the Award, which went on to win Best New Australian Work at the 2016 Sydney Theatre Awards and the Victorian Premier’s Literary Award in 2017. 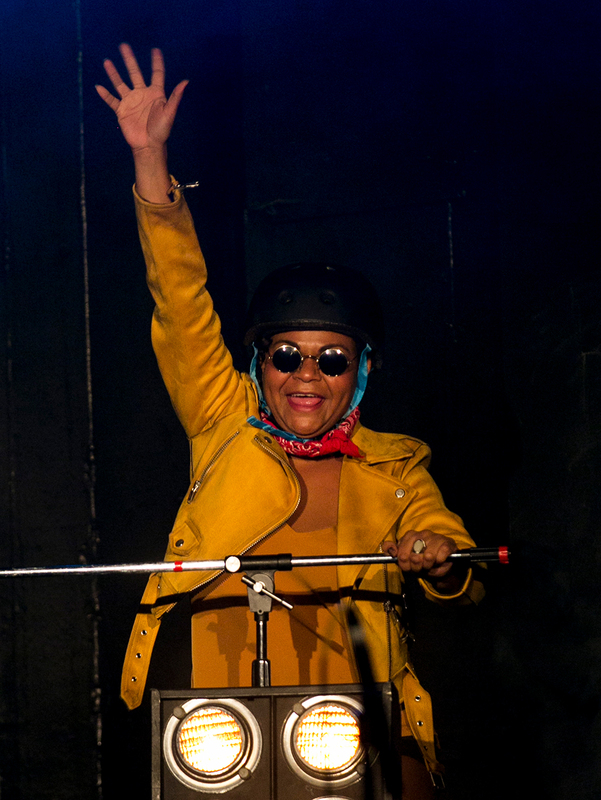 And Ursula Yovich whose work Barbara and the Camp Dogs was such a hit at Belvoir in the 2017 season. ‘The Balnaves Award has consistently provided a platform for Indigenous artists to produce work that speaks for itself, and has gone on to receive both critical and commercial acclaim. This is why we fund both the Award and the production of Indigenous-led work at Belvoir’. Louise Gough, Head of New Work at Belvoir said ‘Belvoir is honoured to have a long-term relationship and the support of The Balnaves Foundation. We share a deep belief in and commitment to the support of Indigenous theatre-makers and the rich and varied stories to be told. The new Fellowship model for the Award, which accepts submissions from writers, writer/directors and directors as well as offering a one-year residency at Belvoir, is an exciting step toward deeper collaboration, and richer outcomes. We look forward to a new voice, a new story and a new theatrical experience from the next Balnaves Fellow at Belvoir’. ‘The Drover’s Wife became an instant classic (not my words but the panels of judges who handed the play numerous awards in 2017) and all due to the Balnaves Foundation and Belvoir’s strong belief and support of Indigenous stories and storytellers’ said Leah Purcell. ‘I believe in twenty-years the Balnaves Foundation and Belvoir’s work in this space will be looked upon as a ‘movement’ in which artists such as myself, Nakkiah Lui, Jada Alberts, Ursula Yovich and plays such as The Drover’s Wife, Kill the Messenger, Brothers Wreck and Barbara and the Camp Dogs was where world class Australian careers were born or rebooted and launched. The proof is in these remarkable works that have become important and classic Australian theatre but have also gone from stage to screen or novel or both, such as The Drover’s Wife and its journey from play to film to novel. The proof is there for all to see’. Entries close 6pm Monday 6th August and the winner will be announced as part of Belvoir’s 2019 Season Launch. Additional information can be found on the Belvoir website – click here.